Not sure your best man is quite up to the task before him? It may be time to bring in a professional. 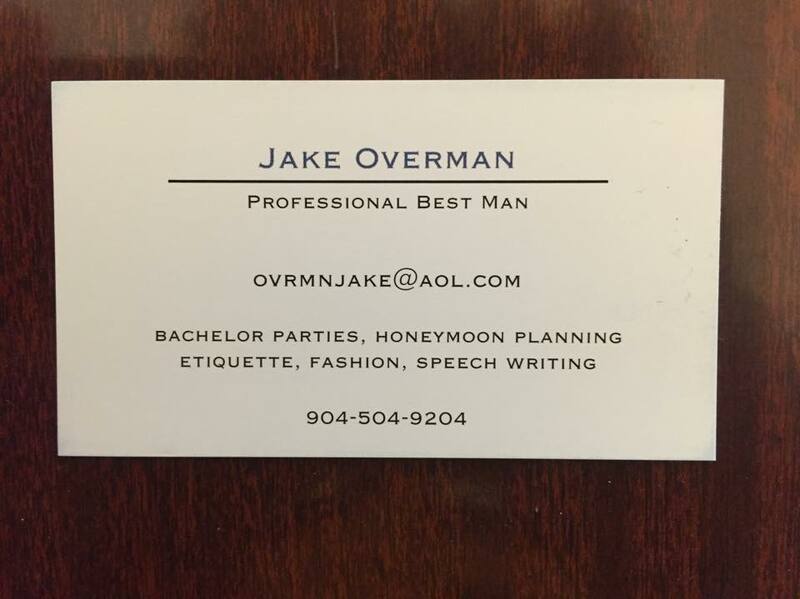 One Jacksonville, FL-based man, Jake Overman, is billing himself as a Professional Best Man for hire, offering to help your actual (potentially clueless) best man with planning the bachelor party, honeymoon, wedding day attire, etiquette and speech-writing. And don’t worry, there’s professional help available for the ladies, too. Jen Glantz, Bridesmaid for Hire, is available to consult, assist with planning, facilitate pre-wedding events as well as support the bride and bridesmaids on the big day. Think the last bachelor party you went to was cool? Think again. This lucky groom’s friends planned an epic bachelor party that turned him into Rambo for a day. We dare you to top that — just make sure to tell us about it. Looking for the perfect gift for your sports-loving groomsmen? Check out the amazing selection of officially-licensed and authenticated sports memorabilia and pro team man cave gear from Steiner Sports. 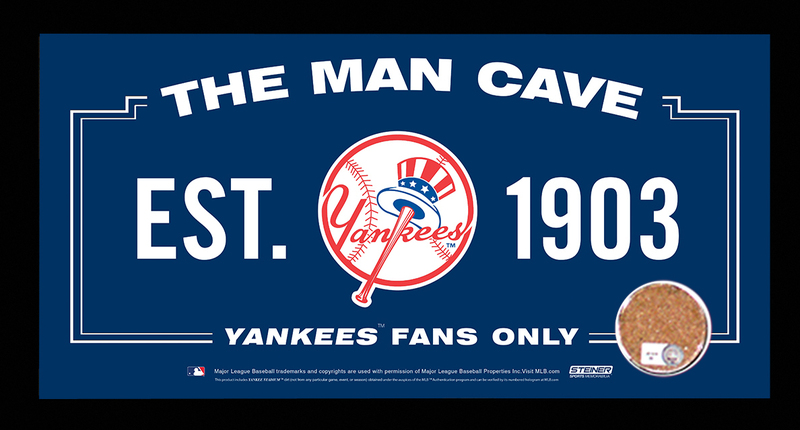 Two great picks: the MLB team man cave signs and team subway sign wall art, both of which include game-used dirt. Of course, make sure to get yourself a little something while you’re at it. On the lookout for a tasty wedding favor that will leave your guests speechless (because their mouths will be full)? Chunky Pig might be just the ticket. 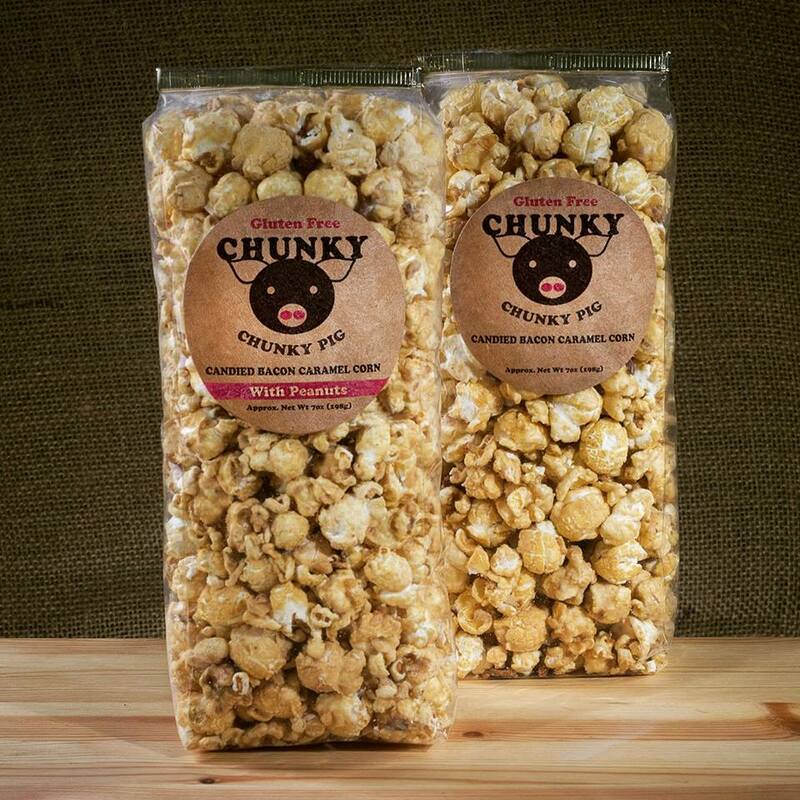 Chunky Pig combines rare mushroom popcorn, dark chocolate and maple syrup to create the perfect blend of candied bacon caramel corn. The best part is that it’s free of gluten, dairy and hormones so everyone can enjoy it. You can shop the store here, but just don’t do it on an empty stomach. Tired of feeling like a jailor and lugging around that massive jumble of keys that barely fits in your pants pocket anymore? Definitely not a good look on the wedding day. Check out KeySmart, a universal and expandable Swiss army-style key holder that deftly consolidates up to 100 keys into a compact, minimalist package. See any other groom-centric content or links this week? Share them with us in the comment section below. This entry was posted on Friday, February 13th, 2015 at 12:00 am	and is filed under #groombuzz, Bachelor Party, Gifting 101, Planning + Advice. You can follow any responses to this entry through the RSS 2.0 feed. You can leave a response, or trackback from your own site.